Medact released in July 2016 an updated assessment of the potential health impacts of shale fracking in England. 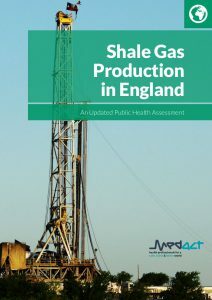 This new report reaches broadly the same conclusions as our 2015 report Health and Fracking, however it is now supported by a much larger body of evidence published in the year since the first report was produced. In the last year over 350 academic papers of various sorts have been published, examining the impacts of high volume hydraulic fracturing (HVHF) for shale gas on air and water quality, health, climate change, social wellbeing, economics, noise and light pollution, and seismic events. This new report updates the findings of a review of the latest evidence. Hazardous pollutants are produced at all stages of the shale gas production process. The range of pollutants are outlined in the report. Based on current evidence it is not possible to conclude that there is a strong association between shale gas related pollution and negative local health effects. However, there is clearly potential for negative health impacts. In particular, there are risks of (i) adverse reproductive outcomes due to exposure to endocrine disrupting chemicals, (ii) risk of respiratory effects resulting from ozone and smog formation, (iii) stress, anxiety and other psycho-social effects arising from actual and perceived social and economic disruption. 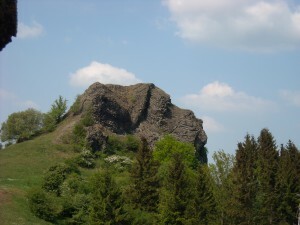 A special consideration in England as compared with the US is that there may be a greater risk of well integrity failure due to the heavily faulted nature of the geology. Evidence is strongest regarding the risk that shale gas will accelerate climate change. Recent evidence of a rise in global atmospheric methane concentrations, which poses a global warming threat, points to recent oil and gas production in the US as one of the causes. See below for link to longer, fully referenced notes that are the basis for the latest report.